The beautiful landscapes in Madeira, or Pearl of the Atlantic, include its stunning nature and volcanic origin - which give rise to the São Vicente Caves and the Volcanism Centre - gigantic cliffs and black sand beaches. 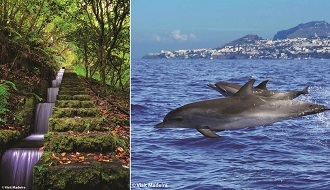 The climate is the best ally for practicing activities, from the most relaxing to aquatic or nautical, dolphin watching or guided walks along the paths of the Laurissilva Forest, which is classified by UNESCO as a World Heritage Site. The “Levadas”, which began being built in the 16th century, carry water from the North to the South of the Island, in an extension of about 3,000 km and it is possible to walk along them and observe landscapes from zero to 1862 meters high. 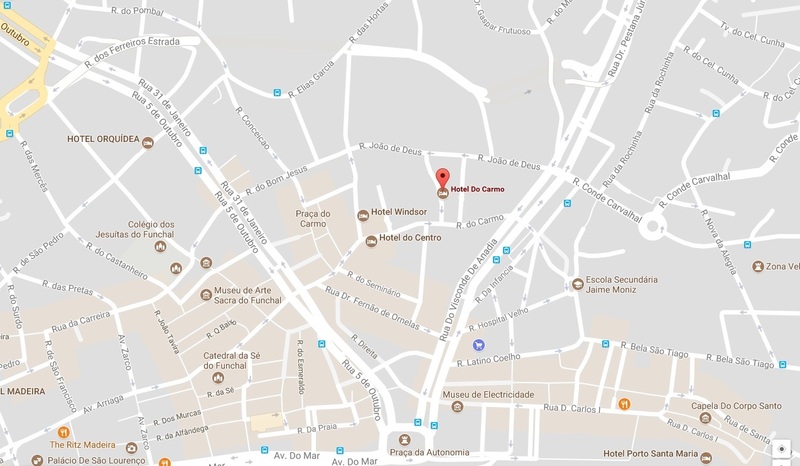 Those arriving to the island start by visiting the centre of Funchal where you can get to know the CR7 Museum, for example, or the Cathedral, built in the Manueline style between 1485 and 1514. 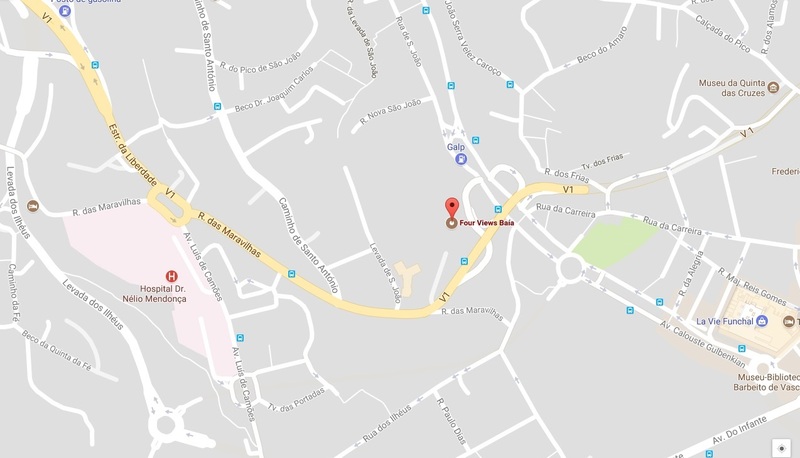 Funchal is a small, relaxed, safe and cosmopolitan city. Overlooking the sea and the mountain, it holds one of the most popular cruise ship ports. The cable cars are one of the means of locomotion with two connections to the civil parish of Monte, one from Funchal and another from the Botanical Garden created in the 17th century and possesses 2000 exotic plants from the five continents of which some are in the process of extinction. At Monte, the big attraction is the sledge rides, where for 2 kilometres, two carreiros (sledge drivers) wearing white uniforms and straw hats push the wicker and wood baskets, using their boots as brakes. 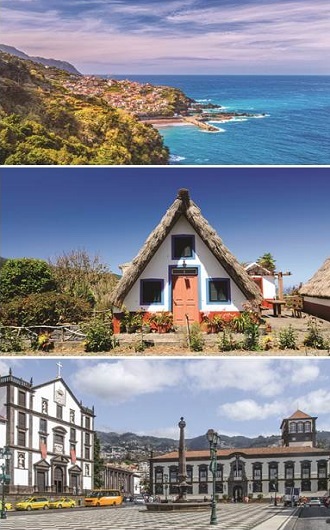 Other places not to be missed are Cabo Girão, Curral das Freiras, Pico do Areeiro, Pico Ruivo, the highest on the island (1861 meters high) and Santana, where the houses that usually appear on the Madeira’s postcards are located. Enjoy watching a special sunset at Paúl do Mar, a place for surfing and bodyboarding. Although simple Madeira’s gastronomy is vast in flavours based on high quality regional products. 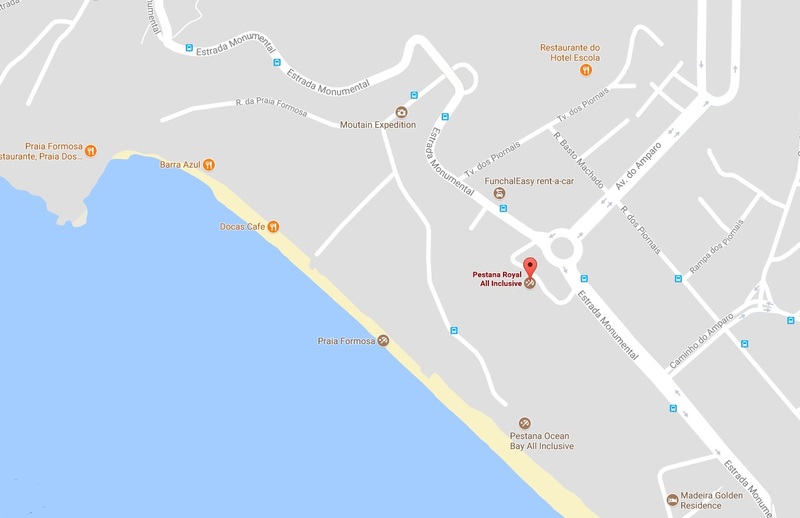 The proximity to the sea offers an endless diversity of options, among seafood dishes, fresh fish, typical grilled limpets, octopus and shrimp, tuna steak and swordfish fillets. Regarding the meat, the grilled beef on a laurel spit accompanied with sweet potatoes bread "bolo do caco" with garlic butter is the most appealing suggestion. 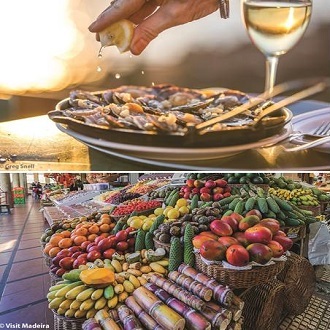 The Farmers’ Market in Funchal is the ideal place to discover an abundance of tropical fruits, beginning with the tasty Madeira banana, mango, custard apple, avocado, and passion fruit, among others. Among the sweets, the ex-libris is the honey cake (bolo de mel), but the “queijada” is also worthy of mention. Natural fruit juices or the poncha are other traditional flavours to which one must add the famous Madeira Wine from more than 30 grape varieties and it was used to toast the Declaration of Independence of the United States on July 4th 1776. The nickname 'Pearl of the Atlantic' was born of the legend that tells how the tears of the Virgin Mary fell in the Atlantic – due to the disappearance of Atlantis as punishment of God - were pearls. On New Year's Eve, every time the 12 strokes of the bell were heard a light would appear in the sky. Today that light was 'replaced' by fireworks on New Year's Eve night. This fireworks display and the Christmas lights are part of the Guinness Book. One of Funchal's most prestigious hotels, Belmond Reid's Palace, celebrates its 127th anniversary and owes its name to the Scotsman William Reid, who built it after making a fortune in wine importation and exportation. In 1949, the Belmond invited Winston Churchill, British Prime Minister and Nobel Prize in Literature, who left his mark. In Câmara de Lobos, he set up his easel and canvas and painted the bay that today is called Miradouro Winston Churchill. It is in the fishing village of Câmara de Lobos where you can taste good fish and the famous poncha. 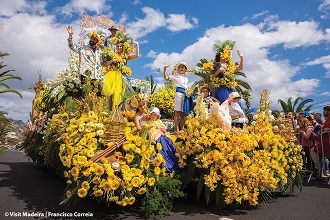 With its temperate maritime climate, Madeira is visited throughout the year bearing an agenda of events such as Carnival, Flower Festival, Wine Festivals, Atlantic Festival, Columbus Festival, etc. 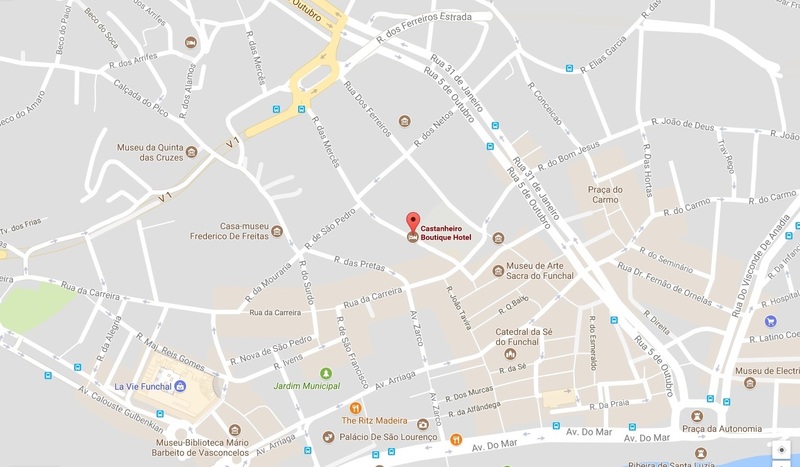 To visit more secluded places, and there are several, we recommend the rental car, but in the centre of Funchal, there are lots of taxis or public transportation. If you decide to walk through the “Levadas”, do not forget to bring comfortable shoes, light clothes and a raincoat. It is also recommended to visit the natural pools of Porto Moniz (now with a structure that facilitates access and better conditions for tourists). Travel along the ER101 road, pass several viewpoints and go to local farmers to buy traditional fruits such as banana passion fruit, banana pineapple, orange passion fruit or lemon passion fruit. Have you ever heard of them?